a week ago or so i proudly proclaimed that "top gear returns!" and laid out my hopes and a thinly veiled prediction that it would be pretty good. well, the latest season - the reboot following the departure of jeremy, richard and james - premiered on bbc america last night and i have to say that i am more than mildly disappointed. the lack of chemistry between the hosts was apparent but not surprising as i know that sort of thing takes times. the early work with jeremy, richard and james was also lacking chemistry, so it's not that aspect that is most concerning. i will offer-up that the number of hosts is confusing to me ... it was primarily chris evans and matt leblanc with little involvement from others during the premiere except until the "extra gear" segment when rory reid and chris harris appear. sabine schmitz has only a cameo in the premiere episode and is a primary story point during "extra gear" (which seems strange). i have no idea where eddie jordan was during any segment of the show. no, you see it seems to me that the show is sliding into neutral ... there didn't seem to a purpose to much of what was done on the premiere. from the opening film comparing the viper acr and the corvette z06 all the way through to the conclusion of the uk vs. usa competition between chris evans and matt leblanc, the viewer is left wondering "why are we doing this?" from start to finish. the previous hosts, while certainly known for doing things that made no sense in the grand-scheme managed to consistently set the table for why they were undertaking some journey, competing, or reviewing something. contrived, certainly but effective at drawing the viewer in with interest in the story to unfold. i never got that sense of purpose from the premier episode. i will continue to watch the show for sure and while i fully expect there to be tweaks as they go forward, i see "top gear" very much as a work-in-progress. 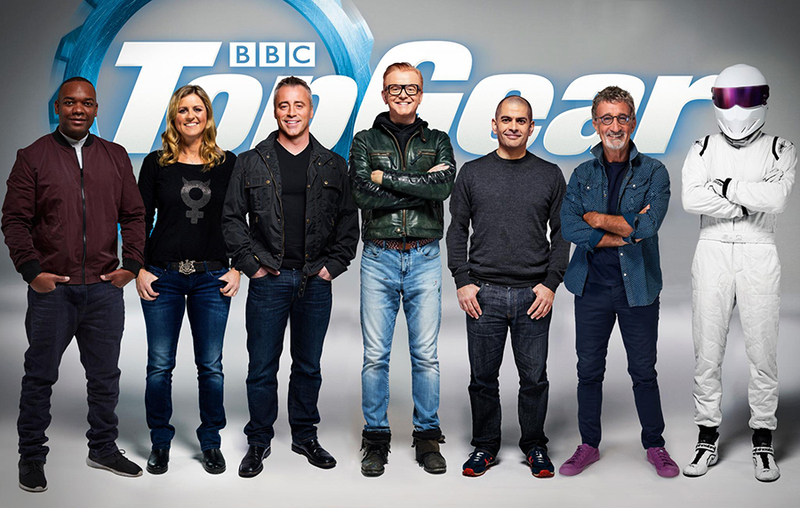 the show and hosts need to clearly establish their own identity and purpose to make "top gear" their own. simply trying to recycle the style from the previous hosts is only leading to a lack of substance in my opinion. top gear returns! the venerable series (series 23, to be exact) is back on bbc (or bbc america, for those of us in the usa) starting may 29 (or may 30 for those of us in the usa) ... i loved the previous series and the previous hosts (jeremy clarkson, richard hammond, james may) and while i still mourn that they have moved on to a new series (more detail in the future), i am still very, very excited about the new cast and crew of the original series. it will be interesting to see how well the new hosts (chis evans, matt leblanc, sabine schmitz, chris harris, eddie jordan, rory reid, and the stig) get along, and how well they can carry forward the show. i am looking forward to this! if the show can and the upcoming series can maintain it's reputation for high-quality, tongue-in-cheek auto journalism then it has a chance to succeed. the trailers that have been released thus far sure look promising.